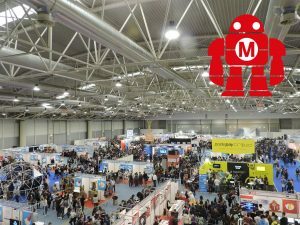 The largest exhibition in its field – “Maker Faire” – was held in October 14-16, 2016 in Rome, Italy. The SUAI was the only representative of Russia at this event. The exhibition demonstrated inventions and innovative projects of the digital age in engineering, science, and the arts. 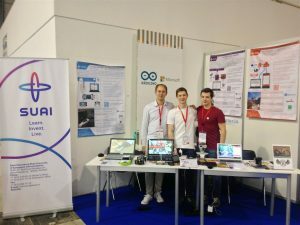 The SUAI was represented by the team of the Department of Aerospace Computer and Software Systems (department 14) and the IHPCNT, they were: research associate Boris Sedov, and engineers Sergey Pakharev and Victor Volkov. In April 2016, the student team of the Department of Aerospace Computer and Software Systems won the first place in the international contest “World’s Largest Arduino Maker Challenge” for the project of a robot car with the possibility of autonomous movement and identification of the location inside the building (Live Hard, Ship Hard!). 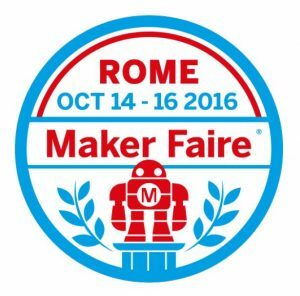 The team was awarded a trip to the international exhibition Maker Faire Rome 2016, Italy. The team was awarded a trip to the international exhibition. Hundreds of projects of various fields were demonstrated at the event: art, electronics, home automation, the Internet of things, microcontrollers, 3D printing, robotics, etc. All in all, more than 700 projects from 65 countries were represented at the exhibition, which was visited by more than 1100000 people for the three days (see the official press release of the exhibition). 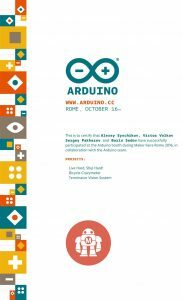 The exhibition was attended by such companies as Arduino, Microsoft, MathWorks, Google, Cisco, etc.